Apert Syndrome is a genetic condition resulting from a mutation in gene FGRF2 – fibroblast growth factor receptor 2 – on chromosome 10. Incidence estimates vary from 1 in 65,000 to 1 in 120,000 births. Most cases of Apert syndrome result from a new mutation, rather than being genetically inherited from a parent. Children born with Apert Syndrome are affected by characteristic craniofacial differences caused by premature fusion of the bones of the skull, as well and limb anomalies, especially fusion of skin of the fingers and/or toes. Multiple craniofacial and limb procedures, as well as other surgical interventions are often necessary to minimize the medical complications and cosmetic impact of the disorder. Craniosynostosis: Premature fusion of the major bones of the skull which begins prenatally. Fusion of these bony plates can significantly inhibit brain growth, as well as the development of facial features. Syndactyly: Webbing and/or fusion of bones and/ or the skin covering the fingers and toes. Varied degrees of involvement may be present, but it is always symmetrical. Surgical correction, if possible, is usually done for the hands, to optimize independence. Feet are corrected only if functional mobility will be improved. Facial Characteristics: Tall, narrow headshape, upper and lower facies are typically flattened. Fusion particularly inhibits growth in the mid-face region, leading to an increasingly “sunken” or “dish-shaped” face as growth continues. Eyes are typically very widely set. Surgical correction is typically undertaken in preadolescence, often in a three-stage process. Palatal involvement: Cleft palate and/or lip is present in 30% of cases. The fusion pattern may result in a high, narrow vault of the hard palate. Hearing Loss: Frequent otitis media and changed in middle ear structure are common in Apert syndrome. Current estimates say that fifty percent of children with Apert Syndrome will develop permanent conductive hearing loss in the low frequencies by age 19. In about two-thirds of children, the bones of the cervical spine may also fuse, adding additional complexity to the surgical intervention required. Cardiac and gastrointestinal defects are present in some cases, as well. Differential Diagnosis: Children who have Apert Syndrome share similar facial features with some other disorders, most notably Crouzon Syndrome. In addition, multiple genetic conditions may cause similar cardiac conditions and cognitive involvement. Digital anomalies, however, are present only in Apert, and not in other disorders sharing common features. Articulation: Difficulty producing alveolar consonants /s, z, t, d/ and labiodental sounds /f, v/. Voice/Resonance: Hyponasality due to changes in oro-pharyngeal structures, additional complications if cleft palate is present. Language: Deficits vary with cognitive level, hearing status, and degree/timing of surgical treatment. Oral Motor: Highly arched high palate, irregular dentition, and malocclusion, with forward posture of the tongue. Feeding and Swallowing: Intervention is more commonly required if there are concurrent GI issues which have necessitated early tube-feeding. Aural Rehabilitation: Bone-conduction amplification is often recommended. 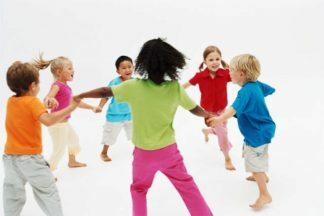 Priority is given to establishing functional communication and optimizing speech intelligibility, in addition to strengthening expressive and receptive language skills. It is estimated that 4 in 10 children who are diagnosed with Apert syndrome will develop typical cognition. Cognitive outcomes are highly dependent upon early surgical intervention to release cranial suture and allow appropriate growth of brain structures. Even with optimal timing, some brain structures may not develop normally. A child’s home environment, social opportunities, and the availability of appropriate educational and therapeutic intervention will also have enormous impact on cognitive and behavioral outcomes. Treatment that considers each individual child’s personality, interests, and family needs is, as always, best. As always, family involvement and education is pivotal in achieving optimal outcomes for communication and development. Speech-language pathologists are pivotal team members and advocates for children who face the challenges associated with Apert Syndrome.